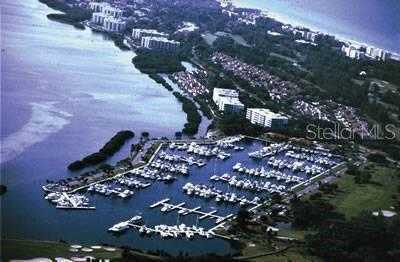 48′ x 20′ BOAT SLIP at the Longboat Key Club Moorings Marina with direct access to Sarasota Bay and the ICW. This world class yachting resort is reserved for a select few with amenities that rival the best. Located on the 10 mile island of Longboat Key off the city of Sarasota you are never far from the cultural venue it has to offer. You are also in close proximity to a shopping plaza with CVS, Publix, and other small retail shops, and the onsite recreational activities are located close at hand including the dockside heated pool & spa, laundry, tennis & pickle ball courts. Each dock is equipped with electric, water, & wifi service. Yachting memberships to the Longboat Key Club are available to purchase affording you 45 holes of golf, the beachfront resort, 7 restaurants, club house, fitness center, & health spa. There is an on site professional Harbour Master and crew available to help in any number of ways, and the Harbour concierge can assist with arranging maintenance plans to keep your yacht in ship shape. With a 24 hour manned gate plus an onsite roaming guard you can be rest assured that your yacht remains safe during your absence. As deep water luxury yacht slips become a fast disappearing resourse, it make sense to secure a permanent home for your yacht at the Longboat Key Moorings. Please, send me more information on this property: MLS# A4431968 – $86,500 – 2600 Harbourside Dr #n-10, Longboat Key, FL 34228. I would like to schedule a showing appointment for this property: MLS# A4431968 – $86,500 – 2600 Harbourside Dr #n-10, Longboat Key, FL 34228.